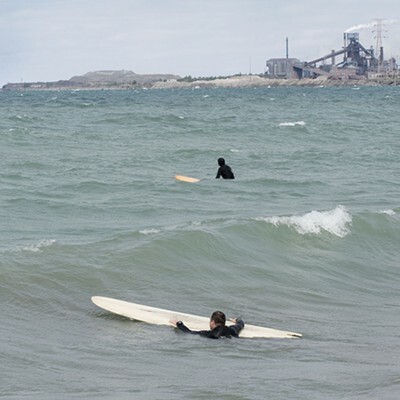 A group of dedicated Great Lakes surfers is always chasing the next big wave, even if it means surfing in dangerous water alongside grimy landscapes home to some of the area's largest polluters. The surfers say some of the best waves in the midwest are near Whiting and Portage in northern Indiana, an area of Lake Michigan they refer to as "Southend." But the surf scene is unlike the coastal ocean paradises where most surfers flock. 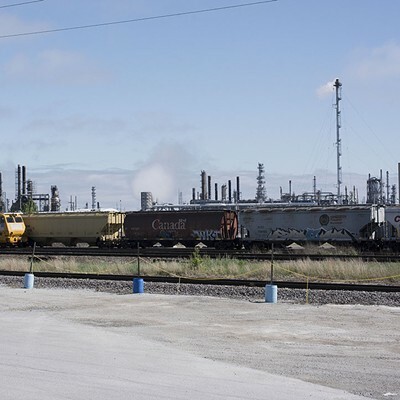 The local spots are directly next to towering industrial complexes, including those of British Petroleum (BP) and U.S. Steel. The BP facility sits near what used to be a gun club. Surfers call the location "Shooters." "It feels a bit more like you're part of the background of a Kurt Russell, post-America apocalyptic wasteland," says Patrick Noyes, who last year directed a documentary about the spot, Southend: The Place Where I Go Surfing. "There is BP, [the] huge aboveground web of pipes . . . next to a huge ArcelorMittal steel manufacturing facility with fire-breathing, smog-belching smokestacks next to a gigantic pile of coal." 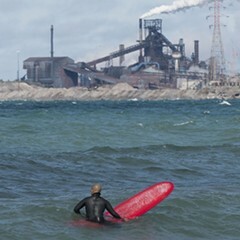 Longtime surfer Rex Flodstrom says "the refineries, flame towers, and industry make a unique backdrop for surfing. Sometimes you see irregular clouds of black or orange smoke." 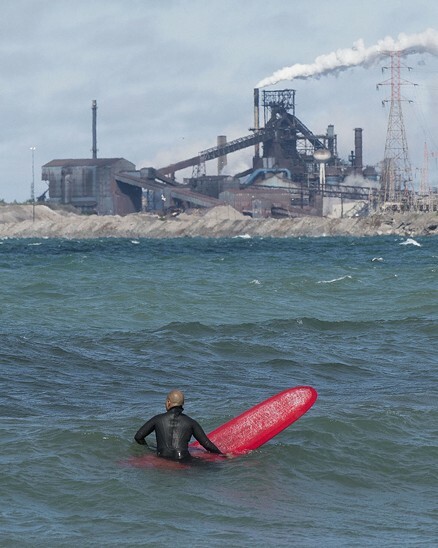 Beyond the grit, the location poses a number of hazards to surfers, says Mitch McNeil. McNeil is the chairman of the Surfrider Foundation's Chicago chapter, a group that advocates to make more locations open for surfing, which was banned in the city until recently and now is restricted to two areas in the summer and four the rest of the year. "When you're surfing down there, you know this is a whole different animal than surfing up farther north," says McNeil, 62, of Oak Park. "Sometimes there'll be a noticeable oily sheen or smell, the color's funky brown [like] chocolate milk. And then there's stuff in the water like trash. So, you know, most people wouldn't go in that water. But for us, the allure of the waves—it's the deal you make." Flodstrom, a 46 year-old artist who lives in Streeterville, says the surfers are like "canaries in the coal mine just immersed in the water. Sometimes the water has a funny smell or taste. You ingest some on accident and you're a little worried about that." 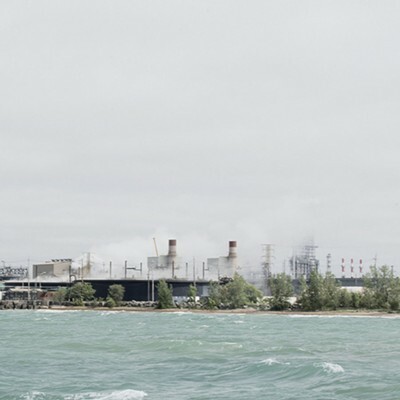 Last April, Surfrider Chicago took its advocacy to another level after U.S. Steel discharged nearly 300 pounds of toxic hexavalent chromium into the Burns Waterway in Portage, which flows into Lake Michigan. The company cited equipment failure as the cause of the spill. U.S. Steel, under EPA oversight, collected water samples from the waterway on April 11 that contained chromium levels several hundred times greater than those allowed under its permits, the EPA reported. Levels at the point where the waterway meets Lake Michigan were at least twice the amount allowed. Chromium is a naturally occurring element used in electroplating, making stainless steel, manufacturing textiles, and preserving wood. According to the Centers for Disease Control, exposure to hexavalent chromium "at high levels can damage the nose and cause cancer." A toxic substances fact sheet further warns that "ingesting high levels may result in anemia or damage to the stomach or intestines. . . . Allergic reactions consisting of severe redness and swelling of the skin have [also] been noted." The dangers associated with the chemical were made famous in the movie Erin Brockovich. Last October, U.S. Steel violated its federal permit again when chromium was once more released into the water by Portage, the EPA said. While the company informed regulators at the Indiana Department of Environmental Management, it requested the incident be kept "confidential," the Chicago Tribune reported earlier this year. The U.S. EPA apparently wasn't aware of this spill until a Tribune reporter contacted the agency. That's when Surfrider Chicago got involved. Under the federal Clean Water Act, private citizens can sue private companies for harming the environment. Surfrider, which is represented by the University of Chicago's Abrams Environmental Law Clinic, filed a lawsuit in the U.S. District Court of Northern Indiana's Hammond office. The suit says that surfers—unaware of what happened—were in the water shortly after the spill. 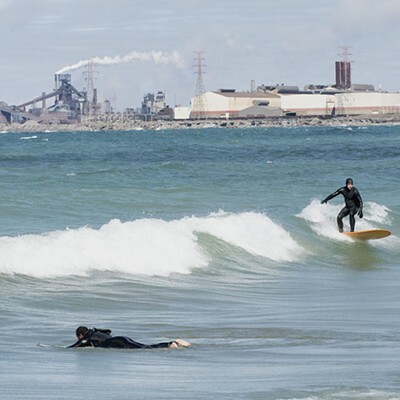 "The weekend following U.S. Steel's October 2017 illegal chromium discharge, surfing conditions on the Southend were among the best of the year," the lawsuit states. 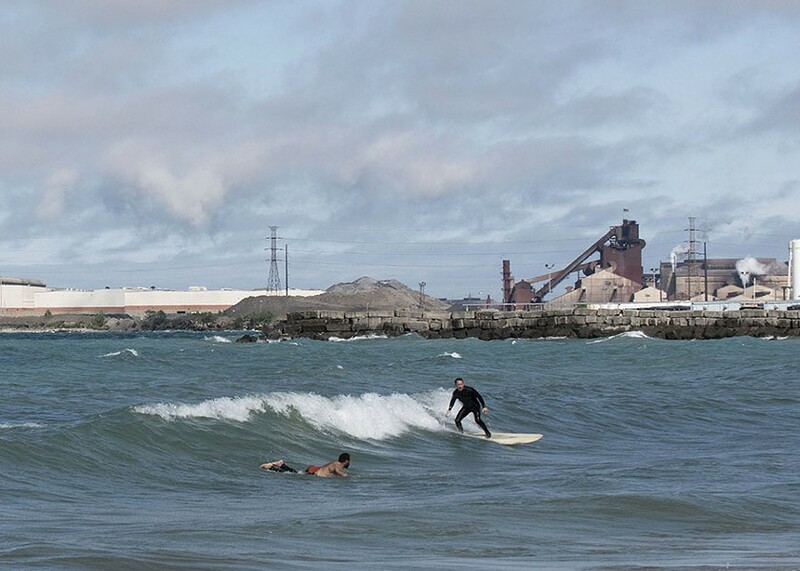 "Surfrider members were surfing on the Southend that weekend and surfers were at the Portage Lakefront without any awareness of U.S. Steel's illegal discharge." The lawsuit cites several incidents of surfers having adverse reactions to the polluted water, among them the cases of "a surfer in his thirties who suffered from shingles in his eye and two male surfers with urinary tract infections." McNeil compared surfing in the water at Southend to a game of Russian roulette. "Your skin breaks out in this weird, blotchy, red, puffy thing that lasts a few hours. Other guys have had some really bad infections. 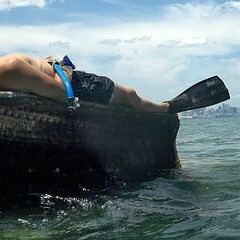 Everybody who surfs there has experienced some sort of minor physical complication with their skin or one of their orifices getting infected." 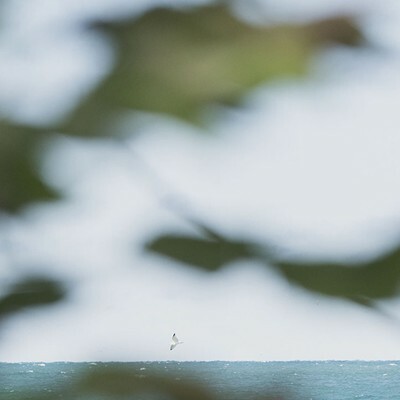 Mike Calabro, who's been surfing the Great Lakes since 2004, believes the water around Portage has given him sore throats and skin rashes, and it's made his eyes so bloodshot he was embarrassed to be seen in public. "I developed a rash on my back after surfing for about four hours," says Calabro, 44, a photographer from Whiting. "The rash took well over a week to heal. I got a urinary tract infection as well." The CDC says damage to the male reproductive system has been found in lab animals exposed to hexavalent chromium. Surfers say they have not had similar problems at other locations in Wisconsin and Michigan. Peter Matushek, 38, a math teacher from Homewood, believes he's had "two serious kidney infections due to surfing the lake." While the first infection was "mild," the second was "really bad"—Matushek says he spent a week in the hospital when his infection turned into pneumonia and sepsis. He received antibiotics for a month and a half and didn't fully heal until three months later. Even this hasn't stopped Matushek from surfing, and he doesn't think anything will. "My family lives in South Chicago," he says, "and I don't want to leave. So that means I'm still surfing here. My doctor told me to take a piss and shower as soon as possible, so that's what I'm doing nowadays." Although Surfrider's lawsuit doesn't name specific surfers who have gotten sick, it alleges that "the harms that Surfrider members experience are directly traceable to the failures of U.S. Steel." 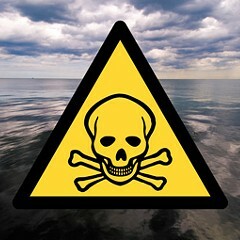 It's not just surfers who should be worried about lake pollution. Surfrider's suit was joined by the city of Chicago, which says it was left unaware of the chromium spills. (U.S. Steel has violated its discharge permit at least four times since 2013.) After the April 2017 spill, it took five days for chromium levels to return to normal in the water surrounding the 68th Street intake crib, one of the locations where the city collects drinking water, the suit says. The city's lawsuit claims that U.S. Steel's activity harms everyone whose drinking water comes from Lake Michigan. U.S. Steel did not respond to requests for comment. But in a legal document filed in March, the company admitted to violating the terms of its federal permit, though it denied that the discharges were illegal. The company claimed it was unaware that surfers used the Portage Lakefront beach and rejected the claim that any of their injuries could be attributed to its actions. The suit is currently on hold while Surfrider and the city evaluate a consent decree that has been reached between U.S. Steel and the EPA. In April, U.S. Steel proposed making a $900,000 settlement—including a $600,00 civil penalty to be paid to the federal government. U.S. Steel has also pledged to enhance its spill-prevention practices. Magistrate judge John Martin at Northwest Indiana's District Court in Hammond will go over the most recent terms of the settlement this Friday, July 13. Weinstock told the Reader he's "looking for assurance U.S. Steel will not do this again." The U.S. EPA referred questions to the Indiana Department of Environmental Management, which declined to comment. Even as that lawsuit moves forward, Surfrider members have larger goals. "U.S. Steel is just the beginning," McNeil says. The suit is part of a larger campaign for transparency in the manufacturing industry. 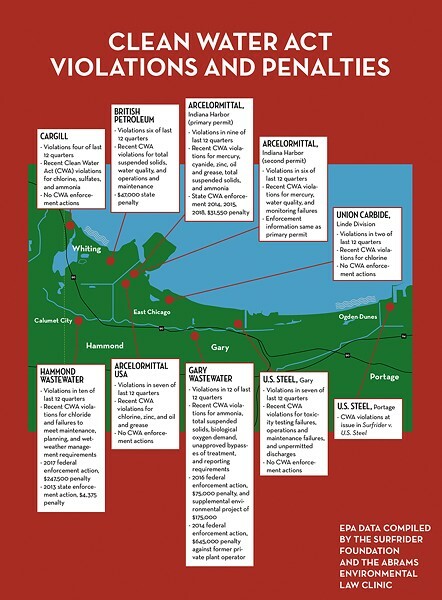 That includes BP's oil refinery in Whiting. The refinery produces ten million gallons of gasoline and 1.7 million gallons of jet fuel every day, making it the largest oil refinery in the midwest and the sixth-largest in the country. In 2012, BP was fined $8 million by the EPA and the Department of Justice, which claimed its Whiting plant contributed harmful air pollution linked to asthma, acid rain, and smog. This multimillion-dollar penalty led to a $400 million modernization project at the facility. Despite this investment, the Whiting refinery was fined by the EPA again in 2016, and the company agreed to pay $275,000 for violating the Clean Water Act. This fine covered a 2014 spill of 39 barrels of oil and other violations dating back to 2011. Surfrider has also put a spotlight on other polluters, including steelmaker ArcelorMittal, which has three facilities in the area that have racked up multiple violations in the past three years, according to data compiled by Surfrider and the Abrams clinic. The dirty water has led many to stay away. "I think [once] people have something major happen [healthwise], that's when they'll stop to think about their overall health," says surfer Amanda Bye, 38, of Humboldt Park. While she loves surfing Southend, she doesn't trust the water anymore. But many can't resist the draw of the big wave. Lake surfers already have to search harder than ocean surfers to enjoy their sport. 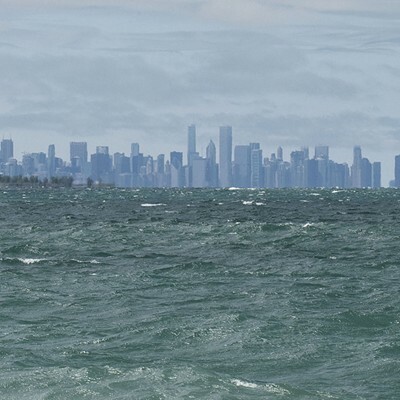 Waves on Lake Michigan are created by local winds (as opposed to ocean waves, which are formed by faraway storms), so lake surfers have to anticipate when the northern winds will travel down south. Even the biggest winds only yield a few really good days each year. For surfers, this often means going out in subzero temperatures during the winter months. "It's a unique surf culture here," says Flodstrom. 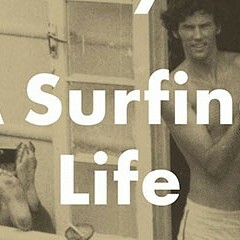 "Less known, [fewer] surfers, more dedication. There's less opportunity, so when there is an opportunity it feels that much more special. You're dealing with really harsh weather and dealing with the elements, but we get good waves." The waves are especially big at Southend because they've traveled the entire length of Lake Michigan, which means they break with more force once they hit the shore, surfers say. 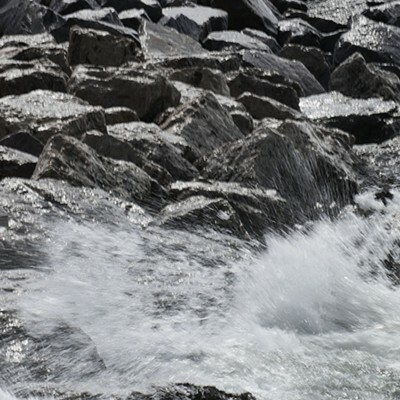 Ironically, the waves are higher quality because of some of the manmade features on the lakefront made to accommodate the industrial facilities. "The steel and concrete piers and jetties are what make a lot of good nooks, crannies, and sandbars for surfing," says Noyes, 33, of Lakeview. 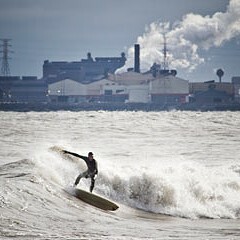 That fact is even noted in the Surfrider lawsuit: "The Portage Lakefront offers a rare, high-quality, freshwater surfing experience. When the wind is right, surfers can get longer lines, more power, bigger [wave] faces, and longer rides at the Portage Lakefront." Although the winter months offer better waves, the summer is still peak season for midwestern surfers. Calabro says it's not uncommon to see "30 people trying to catch the same wave," including many beginners. Noyes adds that "the waves don't last forever here like they do on a huge ocean, so you have to be willing to drop everything you are doing pretty quickly." Why do they put themselves at risk for a few waves? "If you're a surfer, there's an element of desperation," McNeil says. "It's like a junkie looking for his needle. You want that wave. You want that high. You want that endorphin rush. . . . [It's] just that much better down there when the wind is blowing from the north. There's places we surf in Chicago and there's places farther north, but for the big north wind, that's the spot. . . . You're putting yourself in harm's way, but the reward trumps everything." "[The pollution] has not stopped me from going to [Southend]," Calabro says. "Most of my friends stopped going there for at least six months, but they are starting to go back slowly. I do worry about the health risk after it rains and will not surf unless the waves are really good. I'm dumb because the pollution does not stop me." Calabro surfed a spot in northern Indiana earlier this month. In an e-mail, he says he woke up to an eye infection and that another surfer suffered a sinus infection. 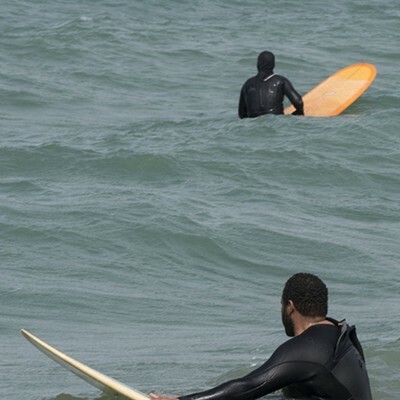 Still, the surfers emphasize that protecting the lakefront is about more than just recreation. "It's really all about the drinking water," McNeil says. "We're trying to [figure out] the effects of what's going on down there for the drinking water of Chicago and Gary and Hammond and Portage." "The pollution affects absolutely everyone," Calabro adds. "Everyone in this area should be grateful to Surfrider," Matushek chips in. "This is our drinking water that is being polluted, and for years no one seemed to care. Wake up, Chicago. I might be surfing in polluted water, but you're drinking it." Lake Michigan is one of surfing's best-kept secrets. Really.